Maybe I'm being too critical. HA! 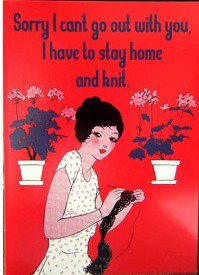 I feel like that all the time--I would rather sit at home and craft than go out and actually do anything! I just bought a whole bunch of Wool-Ease/Caron Simply Soft for a sweater and it came in at under $15!! Gotta love a bargain. Maybe try blocking the lace to see how it looks then? 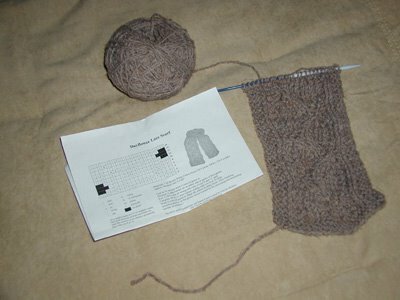 I know with knitting lace you really can't tell what it'll look like till it's blocked. 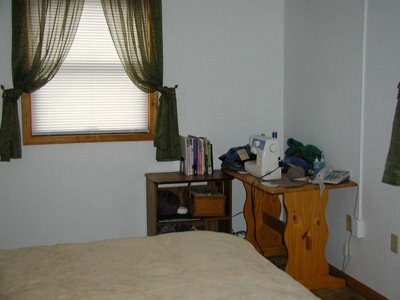 Hi and welcome to our group. I just approved your membership in the MSN group and am looking forward to meeting you at Starbucks sometime soon. Love your blog! I share your opinion about the original Willie Wonka! Hey, I'm so glad you joined up! I'll be there the Saturday after Thanksgiving. I'll have a nice long weekend so it's the perfect time to go! Karin's right about the lace. Wait until you block it to find out how it's going to turn out. Lace is notorious for that.